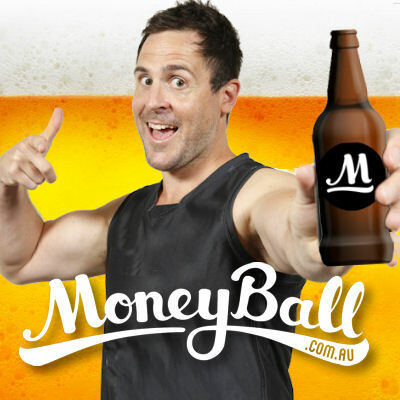 Roy has a look at some great picks for today’s $4000 Moneyball special. Make sure you enter the free competition to win an amazing Grand Final experience. It’s Sunday Funday and that means we have a $4000 special! Alright, you need to check this out… They say nothing in life is free, but this is! And it could result in you going to the Grand Final. Click here to subscribe to the Match Committee Podcast on iTunes. JOIN UP and be involved with a chance to win tickets to the AFL Grand Final by following the links on DT Talk, they will take you to a FREE CONTEST. If you have the highest score for the week in this game = $20 Free Bet. But if you have the highest score for the season… then pack your bags cause you are off to the AFL GRAND FINAL. Click here for the round 22 contest code. After all – it’s a FREE BET what do you have to lose. Jack Macrae ($10,100 MID) is set for an awesome score against one of his favourite teams who are also conceding the second most points to mids in the last five weeks. In fact, in his career, Macrae has played against the Blues on five occasions and has never gone under triple figures while reaching a great ceiling of 145. He will be huge. Matthew Lobbe ($6,900 RUC) provides a great money saver in the ruck department as he has taken full advantage of his opportunities with Kreuz out of the side. In the last four games, the big fella has averaged 86 points and given the Dogs concede the most hit outs and are the third easiest opponent for rucks to score against, he should easily surpass cost. Dom Tyson ($7,000 MID) is finally looking like the Tyson we have come to expect at the Dees with scores of 96 and 98 in the last two. His form in the VFL that led to his selection was smoking and his history against the Eagles shows he is worth a punt at that price with scores of 111, 94, 99, 127 and 100. Jackson Trengove ($6,300 FWD) is under priced given he has taken the mantle as number one ruck and his scoring has spiked as a result. When given the opportunity to play that role, he has averaged 17 hit outs and 85 points as opposed to three hit outs and 60 points which he is basically priced at. Since Kruz went down, the Blues have been the third easiest team for rucks to score against so it’s a very tempting play with a forward. Mason Wood($6,200 FWD) is a risky play, but it has upside. Last week he pushed up the ground playing a link role and he did it really well which leaves it safe to assume he is given a chance to replicate it. He scored an impressive 100 while doing it and scored a career high 123 while doing a similar role against the Crows last year. Matt Crouch ($9,900 MID) is going BIG and for under 10K, we need a piece of it. The Roos gave up a heap of possessions last week, in fact three Dogs managed to rack up 40 touches and Crouch is the best ball winner at the Crows by a long shot. Now, saddle up… If you think he will reach 32 possessions, he is a must have given when he has reached that total this year he had scored 123, 106, 103, 116, 120, 117, 123 and 134, not to mention his last three against the Roos are 126, 101 and 116. Easily my favourite on the slate.